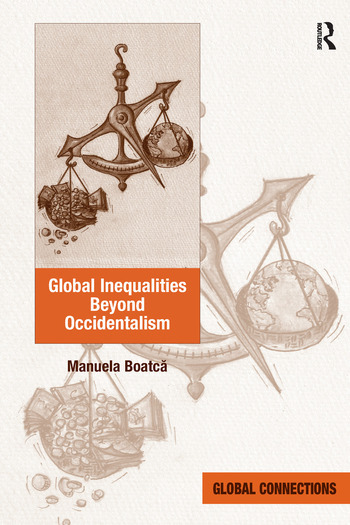 Based on theoretical developments in research on world-systems analysis, transnational migration, postcolonial and decolonial perspectives, whilst considering continuities of inequality patterns in the context of colonial and postcolonial realities, Global Inequalities Beyond Occidentalism proposes an original framework for the study of the long-term reproduction of inequalities under global capitalism. With attention to the critical assessment of both Marxist and Weberian perspectives, this book examines the wider implications of transferring classical approaches to inequality to a twenty-first-century context, calling for a reconceptualisation of inequality that is both theoretically informed and methodologically consistent, and able to cater for the implications of shifts from national and Western structures to global structures. Engaging with approaches to the study of class, gender, racial and ethnic inequalities at the global level, this innovative work adopts a relational perspective in the study of social inequalities that is able to reveal how historical interdependencies between world regions have translated as processes of inequality production and reproduction. As such, it will be of interest to scholars of sociology, political and social theory and anthropology concerned with questions of globalisation and inequality. Manuela Boatca is Professor of Sociology at Albert-Ludwigs University of Freiburg, Germany. She is co-editor of Decolonizing European Sociology; and Global, Multiple and Postcolonial Modernities; and author of From Neoevolutionism to World-Systems Analysis.